Fr. Paul Merculief was laid to rest today. He was not only one of the founders of my alma mater, St. Herman Theological Seminary in Kodiak, AK, he also returned there during my studies to serve as professor and Interim Dean. I’d like to share a little about Fr. Paul, so that you might know what a loss the Church of Alaska has suffered. His passing will be felt far and wide. I first met Fr. Paul at the Glorification of St. Yakov (Jacob) Netsvetov/Consecration of St. Innocent Cathedral in Anchorage in fall of 1994. I had been in Alaska for less than a week, and was ferrying visitors and dignitaries back and forth from the airport, hotels and the Cathedral. I was a fish out of water to be sure. Fr. Paul struck up a conversation with me instantly during one of these trips, and asked me many questions about myself, my family and where I was from. He made me feel welcome in seconds and talked about the coming weekend, and the coming years in Alaska. I remember thinking how quickly I was able to exhale and relax a little, knowing somehow it would be more than alright. It was going to be great. He was so right! 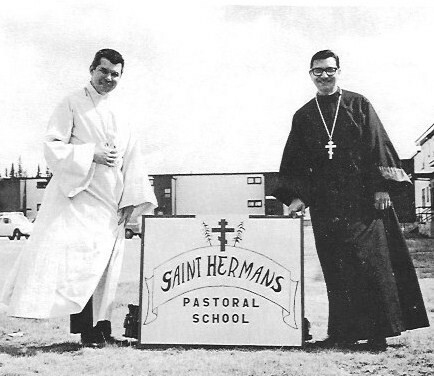 Later, during a tumultuous time at St. Herman’s Seminary, he came to Kodiak to teach and serve as Interim Dean. He knew everyone and his enthusiasm for Christ and the Holy Church and all her members was contagious. He spent many class sessions not only instructing us in liturgics, Alaskan Church history, and spiritual life, he also spent a great deal of time telling us stories about serving and surviving in Alaska, and leading us into conversations which were lengthy, enjoyable and deep. Within a few weeks, a few of us realized what was happening, what he was doing with us. 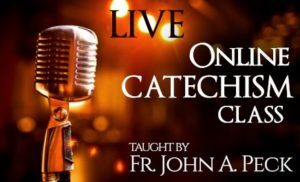 It was one of the most important experiences one can have at a theological seminary and the most important thing one can learn at a seminary. 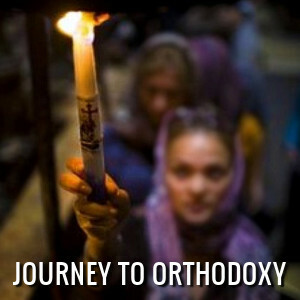 He was initiating us into the spiritual life and tradition of the Alaskan Orthodox Church. There was a ‘way’ to things in Orthodoxy in Alaska, and he would be our guide. There was no preachiness in his tone or method. We were simply invited along for a journey that he was lovingly narrating and we were experiencing with wonder – and all the time, he treated us, his students, like we were his friends. 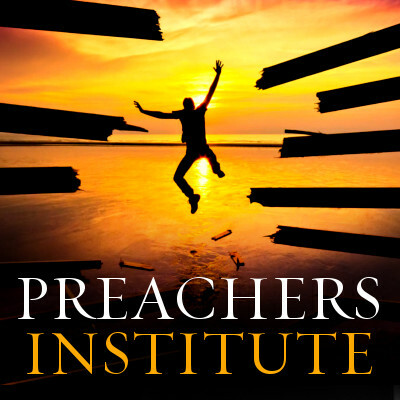 He seemed to know the spiritual formation and trials we were going through – and they were ferocious. With his customary humor and smile, which came so easy, he carried us lightly from glory to glory, even when we were too tired or numb to even know the right questions to ask. As the compiler of the Church calendar and Ecclesiarch of the diocese, he was exceptionally precise about liturgics, and strict in their fulfillment. His knowledge of the services – practical, theoretical and mystical – was profound and contributed greatly to the exceptional priestly formation we received while at St. Herman’s. Fr. Paul understood what I think not many understand today about the necessity of liturgical formation for priestly formation. In other words, we learned not how to ‘do’ services, but how to celebrate even the shortest liturgical service with precision in line with the Alaskan Orthodox Tradition, and intensely pray the services with both passion and dispassion. 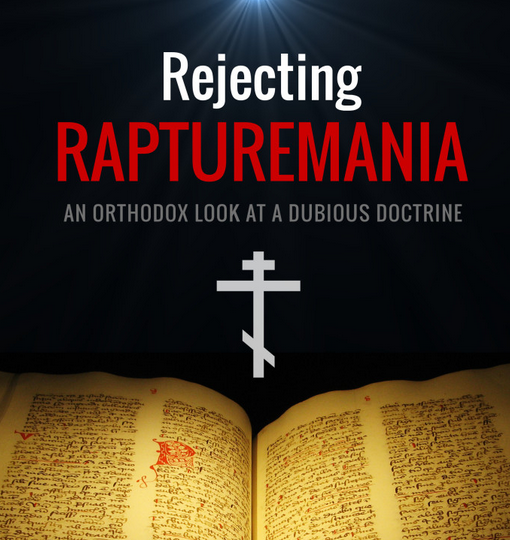 There’s a joke among Orthodox seminarians that goes like this. At St. Vlad’s you learn why you swing a censer. At St. Tikhon’s you learn how you swing a censer. At Holy Cross you learn how to pay for the censer. And at St. Herman’s, you learn what a censer is. I once told Fr. Paul that wasn’t quite right. and how you pay for it. For this, I am grateful to every instructor and teacher we had at St. Herman’s, but especially to Fr. Paul. The formation was ferocious, but we learned. By God, we learned. I later heard that from many of the senior clergy serving in Alaska, and having served there myself, I certainly agree. Fr. Paul was a master of languages, his explanation of translations of Scripture and liturgics shed a bright light on sometimes obscure and difficult areas. He navigated them masterfully, with great ease, and always with a smile. It was as if he was taking us into a garden he himself had planted and enjoyed, and invited us to enjoy it as well. I also had many private conversations with Fr. Paul. I was able to ask him many question privately. How much I learned in these sessions! How valuable it was for me to have access to him in this way. He was habitually forgiving and loving to us students. Later I had the chance to experience his hospitality at his home in Anchorage. He and Matushka Elizabeth seemed to know how easy it was for me to feel out of place, even after several years in Alaska. They set me at ease quickly, laughed easily and fed me too well. I felt, again, like one of the family. I received so much from Fr. Paul that I wanted desperately to offer something in return. Of course, I never could. Fr. 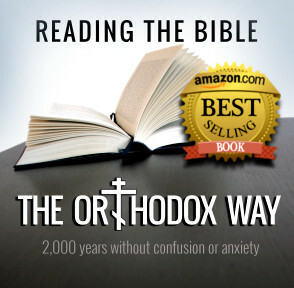 Paul also published what I consider to be the best liturgical books for Orthodox services anywhere in the Orthodox Church in America. I still use them to this day, and have recommended them to anyone interested in the best books for OCA services for many years. I am grateful for the chance to have experienced the formative instruction and loving care of this great priest. May his memory be eternal. His soul shall dwell with the blessed. Born in Alaska in 1939, Father Paul was a graduate of Saint Tikhon’s Seminary, South Canaan, PA. In April 1960 he married the former Elizabeth Svetsov. He was ordained to the diaconate on May 28, 1967 and to the priesthood on August 22, 1971. Father Paul grew up on St. George and during his elementary school years, he knew more Aleut than English. He was able to recite the Gospel of Matthew in Aleut, often sang songs with his grandfather during church, and played church services with his little friends. Throughout his childhood, he only missed two church services due to illness. He was a Cub and Boy Scout troop leader, harvested seals, and worked in the office as an assistant store manager. On April 24, 1960, he married his childhood sweetheart and neighbor, Elizabeth. They photographed the children with Santa each year as well as the numerous wild flowers on the island, then developed the pictures in his darkroom. They even started an on-island radio station and took song requests from the villagers. The family moved to South Canaan, Pennsylvania for him to attend St. Tikhon’s Theological Seminary, and then back to Alaska, where he was ordained a priest in Anchorage on August 22, 1971 (his wife’s birthday). 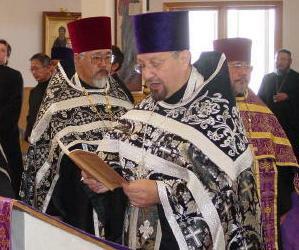 He received his Masters of Divinity from St. Tikhon’s in 1994. He was one of the founders of St. Herman’s Theological Seminary, along with Father Joseph Kreta and Sister Victoria, in Kenai, Alaska in 1973. The Seminary was later relocated to Kodiak, Alaska, where he taught for several years. He had photographed and documented all of the churches in Alaska with Bishop Gregory and Father Joseph Kreta. Father Paul was fluent in the English, Russian, and Aleut languages. 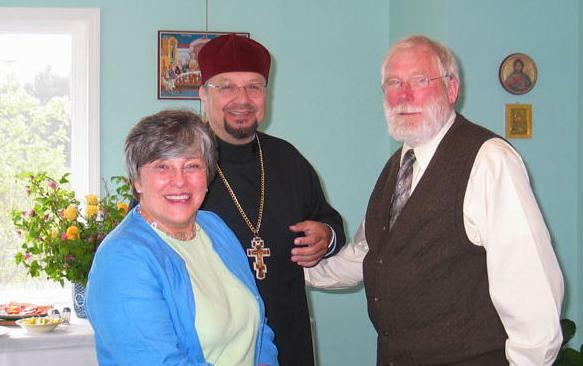 In 1982, Bishop Gregory asked him to translate the Typikon (order of church services) from Russian to English, which he has continued to provide to the Alaskan Diocese. As a young child, Father Paul was evacuated to Funter Bay during World War II and later helped contribute to getting the Reparations Bill passed in Washington, D.C. As he was one of the few Aleuts who was able to speak and translate the Aleut language, he worked for APIA’s Cultural Heritage Department. He served on The Aleut Corporation Board of Directors, the APIA Board, the Aleutian Housing Authority Board, and was also a Chancellor of the Alaska Diocese. Father Paul enjoyed fishing and traded his legendary smoked and canned salmon for other subsistence delicacies around Alaska. For those who knew him well, his love for crosses is an understatement. He touched so many lives in the villages and has been instrumental in helping to preserve and document the Aleut culture. He is mentioned by name on the Wikipedia article on the Aleut language. For years, Father Paul served numerous communities, including Anchorage, Kodiak, Nikolsky, Tyonek, Atka, Kenai, Ninilchuk, Unalaska, Saint Paul, Saint George, and elsewhere as rector or as an attached clergyman. In addition to parish ministry, he served as Interim Dean of Saint Herman’s Seminary, Kodiak, AK from August 1995 through March 1996. He also served as Diocesan Chancellor from March 2003 through August 2004, as acting Dean of the Anchorage and Kenai Deaneries, and as Diocesan Treasurer. 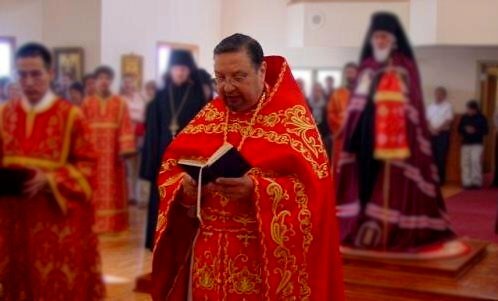 In 1983, he was elevated to the dignity of Archpriest by the Holy Synod of Bishops, from whom he received a Synodal Gramota in 2002. In December 2004, he was granted retirement and attached to Saint Innocent Cathedral. Father Paul is survived by his loving and devoted wife of 52 years, Matushka Elizabeth; his daughters Cynthia (Joseph) and Angela (Headen); his sons Thomas, Paul II (Marta) and Myron; his grandchildren Elizabeth (Gene) and Timothy (Kellie); great grandchildren Abel and Timothy Joseph, who affectionately called him Dida; and his siblings Iliodor, Irene, Edna, Dimitri, and Maria. He leaves behind a multitude of students, parishioners and Alaskans forever transformed by his life, work and wisdom. May Father Paul’s memory be eternal!